Automate anything you can see on-screen. The image and text recognition technology of the LEAPWORK Automation Platform is a powerful approach to automating Citrix, graphics, games, and native mobile applications. LEAPWORK’s web capabilities relies on the world-leading browser automation framework, Selenium. 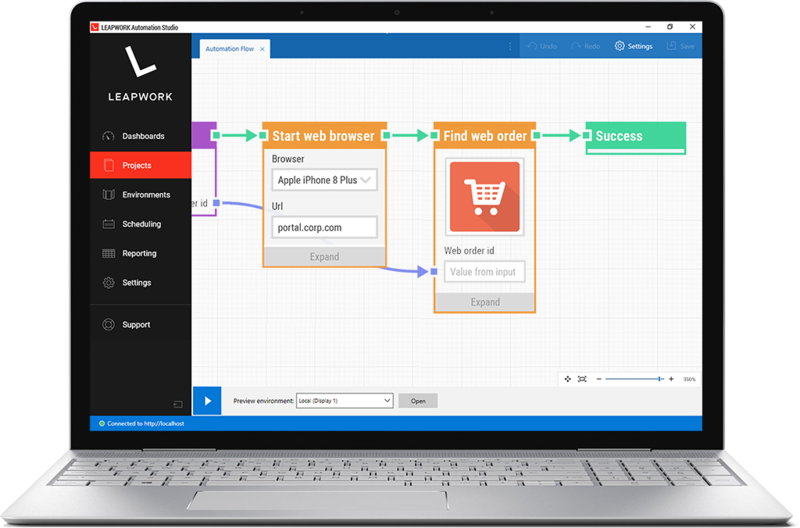 This makes it incredibly easy to automate any website and web application. 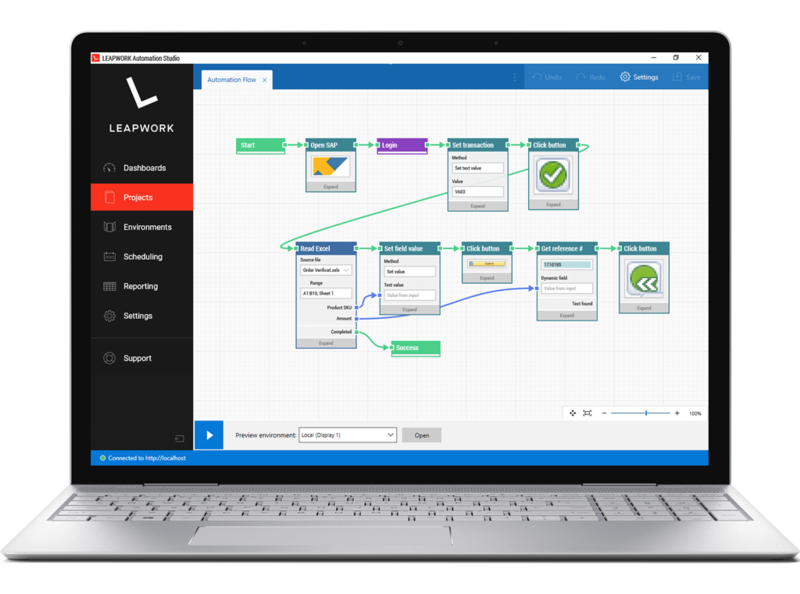 Try the LEAPWORK Automation Platform for yourself or book a product demonstration today.